Amy is a licensed acupuncturist and massage therapist, certified Chinese herbalist and a Diplomate of Oriental Medicine. She has been practicing massage therapy for almost two decades since graduating from the Chicago School of Massage Therapy. While working as a massage therapist, Amy experienced an acupuncture treatment and was amazed at the immediate feeling of balance and full-flowing energy throughout her body. Within months, she began her studies in Traditional Chinese Medicine (TCM) and graduated from Pacific College of Oriental Medicine in 2010. That same year, Amy’s visit to Beijing to study TCM and Asian bodywork with highly esteemed Chinese practitioners has been one of her most memorable experiences. She has also enjoyed being a faculty member of Pacific College in Chicago and Harrison College in Indianapolis as a teacher and massage clinic supervisor. Amy uses a personalized mixture of acupuncture, massage therapy, cupping and other TCM modalities for the ultimate in relaxation and pain relief. She customizes each patient’s treatment to not only help them heal from signs and symptoms of current illnesses but also to balance their body and mind to prevent ailments before they occur. Amy moved to the Seattle area in 2016 and loves hanging out with her family including their two Old English sheepdogs, Basil and Ziggy. Brian’s path to becoming a health care practitioner started when he was a mountain guide. This strenuous career provided lots of personal experience in injury recovery, introducing him to the efficacy of massage therapy. These experiences led him to study both Western and Eastern modalities of massage therapy, including shiatsu (Japanese bodywork based in East Asian medicine), at New York City’s Swedish Institute. Bodywork combines his passions for health and wellness, working with his hands, and five years of practice in both Eastern and Western styles of massage therapy reinforced the benefits of the holistic approach of Eastern Asian medicine, which focuses on root causes rather than symptoms. For his Master’s of Acupuncture, Brian attended the Seattle Institute of Oriental Medicine (SIOM), studying both acupuncture as well as Asian bodywork, including tui na (Chinese medical massage) and shiatsu. Since graduating in 2013, he has further deepened his skills in Japanese­style acupuncture by completing training in Toyohari meridian therapy. Now, instead of guiding people in the mountains, Brian helps people navigate the inner terrain of their own body and self, facilitating a healing process that leads to deeper joy and fulfillment in their lives. 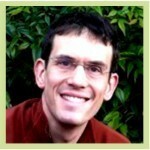 Brian specializes in Japanese­ style acupuncture. The needles used are even thinner then those used in Chinese­style acupuncture, and they are often inserted shallowly so the patient feels little to no discomfort. This makes it a good choice for those interested in acupuncture but possibly apprehensive about needles. Instead of tapping needles in and leaving the room, Brian often uses the needle as an active tool to connect with the patient’s energy, like a fisherman using a rod to work a fish on the end of the line. In addition, he uses a broad range of other traditional Japanese tools and techniques beyond needles, including micro­moxabustion directly on skin, to customize the treatment intensity to the patient’s level of sensitivity. This style of acupuncture is very hands­ on, allowing Brian to tune into the exact needs of the individual patient and precisely locate the most effective points for treatment. While helping to raise two young daughters doesn’t leave much time to climb in the mountains these days, the trail running Brian enjoys helps him keep up with his energetic girls. They also cheer him on as he rides them up and down Seattle hills on his bike. Timothy Miller, Dreamclinic Acupuncturist Timothy is a myotherapist who utilizes a wide variety of musculoskeletal, myofascial and neuromuscular modalities to assess and treat the full spectrum of pain and pain associated conditions. Orthopedic Acupuncture, massage, facilitated stretching and muscular release techniques, simple, but proven dietary/lifestyle advice and topical herbal medicines are just a few of the treatments he provides for his patients. Timothy is a nationally certified acupuncturist and licensed massage therapist who graduated from Bastyr University in Kenmore, Washington. His training in acupuncture also included a research externship at the Center for Integrative Medicine at the University of Maryland under the guidance of Dr. Lixing Lao, one of the foremost Chinese Medical researchers in the world. Timothy decided to specialize in pain management after seeing someone very close to him suffer needlessly through years of mismanaged medical care and unsuccessful surgical interventions. He realizes that alleviating and managing pain is about working together with his patients. This is achieved by working within one-on-one healing environment – without sacrificing treatment quality by operating multiple rooms, a common practice utilized by many acupuncturists – educating patients about their body, providing a realistic prognosis and when needed, offering trustworthy referrals to a solid network of health care providers. Besides practicing at Dreamclinic, Timothy mentors with Dr. Rebecca Love at Bastyr University, working as a professional assistant in the gross anatomical dissection lab for first year Naturopathic Medical students. In his spare time, Timothy loves hiking in the Cascades Mountains, researching the somatic structures and how they relate to human movement and form, and being with his wife and two amazing daughters.